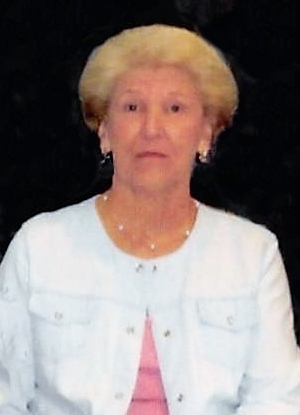 Mrs. Mattie Mae McIlwain, 83, of Waynesboro, MS passed from this life Monday, April 1, 2019 at Brookwood Villa Personal Care Home in Waynesboro, MS. She was born in Wayne County, MS on Thursday, August 1, 1935 to Dewitt Talmadge Long, Sr. and Verda Pitts Long. She was a member of Riverside Baptist Church and was a Homemaker. Mrs. McIlwain is preceded in death by her husband, Homer Ellis McIlwain; father, Dewitt Talmadge Long, Sr. and mother, Verda Pitts Long; 2 brothers, Talmadge Long, Leo Long; 2 sisters, Mary Nell Prince, Myrtle Holcomb. She is survived by 3 sons, Ellis McIlwain (Terry), Monty McIlwain, Homer Lynn McIlwain (Christina); 4 Grandchildren and 3 Great Grandchildren; brother, Albert Long; 4 sisters, Pauline Foxworth, Verda Voncille "Bonnie" Long, Geneva Kelly, Annie Lou Griffith. Graveside Services will be held at 10:00 AM Tuesday, April 2, 2019 at Waynesboro Cemetery with Dr. Steve Smith officiating.